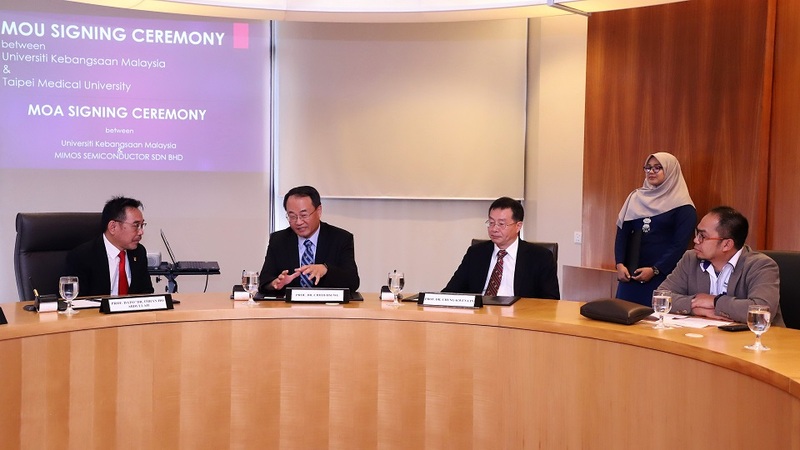 MIMOS Semiconductor Sdn Bhd (MSSB) and Universiti Kebangsaan Malaysia (UKM) signed two Memoranda of Agreement (MoA) on July 25 pertaining to a Collaborative Research and Development Agreement (CRADA). The memoranda were signed by MSSB General Manager Wan Azli Wan Ismail, MSSB Senior Director Mohd Shahiman Sulaiman, UKM Deputy Vice-Chancellor Industry and Community Partnership Prof Dato’ Dr Imran Ho Abdullah; and UKM Deputy Dean Dr Alida Mahyuddin. The first CRADA was on ‘Non-Invasive Tooth Resorption Detection Based on Spectroscopy Technique and Multivariate Algorithm’, while the second was on ‘Oral Protein Biomarkers Quantification for Dental Application’. The agreements were a continuation of the research collaboration between MSSB and UKM in dental application. It all started last year when both parties signed a Non-Disclosure Agreement (NDA) before having further discussion on the project. The two CRADA memoranda reflected stronger partnership between MSSB and UKM as both would work together to achieve their respective goals. 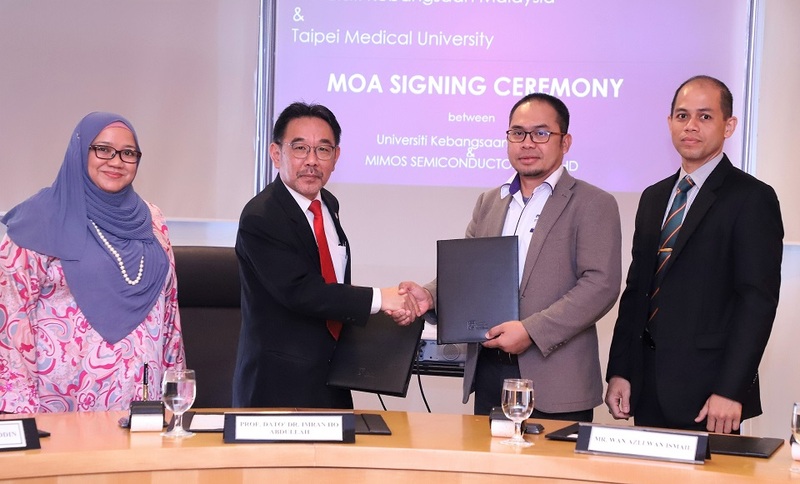 This is in line with the 11th Malaysia Plan (2016-2020) strategy of utilising photonics technology for the development of sensors for healthcare that can generate non-invasive, non-destructive, cost-effective and easy-to-use solutions. The research collaboration can further improve diagnoses of dental diseases that can give impact to patient management, community and ultimately to the nation.